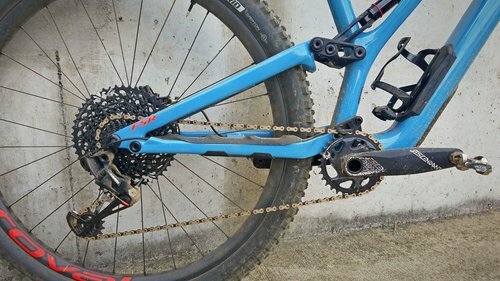 When we were told a new design of the Stumpjumper would be coming out this year, each of us were pretty curious as to how Specialized could improve on our already favorite trail bike. The 2019 Stumpjumper comes with a new frame design, short travel & long travel options, new suspension tune, a flip chip to change the bottom bracket height, and a whole lot of fun! I rode the previous Stumpjumper design last year. I did all sorts of riding on it - All-Mountain hangout gnar days, XC racing, and 100 mile racing. The bike did everything, and I really enjoyed it. However, there were a few issues I had with it that at the time I had attributed to just not being experienced enough on the trails. But then I rode the new Stumpjumper and realized that it wasn't my fault that I couldn't keep the front end of the older model down on steep climbs, or that the floppy feeling I experienced through some techy stuff wasn't because of a lack of "aggressiveness". The new model made all of the issues I had on the older model completely vanish. My first ride on the new Stumpy was at the Massanutten Western Slope - one of our local trails systems with all the rocks you could want in all of the difficulty levels you could want. It's one of my favorite places to ride, with no shortage of spots to work on rock/tech riding. I have a few places on these trails that always give me a hard time - a steeper switchback with a small rock step right in the middle of a long climb, a couple of steeper climbs with a bunch of loose rock, some boulders on a ridge I've always struggled to ride... The 2019 Stumpjumper got me over, and through, and up all of these features that I have burned so well into my brain - they turned into fun features to ride instead of "Kelly's struggle bus section." This bike feels planted through everything. The front end doesn't come up on me at all; I just pedal right along through rock gardens, and on descents I feel like I'm on a rocket ship. These improvements in my riding are likely attributed to the change in frame geometry - slacker fork, longer top tube and wheel base, BUT the chainstays have stayed the same shorter length of 437mm (same as the previous model). The new frame with the Sidearm design is lighter and stiffer. All of these features combined with the new suspension trail tune make for a bike that truly is ready for anything and everything. It's gone above and beyond what we could have ever expected. Another feature that completely blew my mind is the new Command Post dropper. It now drops 160mm from what used to be 125mm in the old model for size Medium through X-Large. The first time I dropped the saddle I almost didn't know what to do. We were heading down a descent from the mountain overlook, I hit the dropper lever, and all of a sudden the seat was gone (not really but I was just so surprised lol). Having the seat go so low brought my center of gravity to a new position and it was pretty fun getting real rowdy heading down the mountain. Tires: Front - Butcher GRID, 29x2.6", Rear - Purgatory GRID, 29x2.6"